Zeke Gulden is a ruthless Wall Street exec. His hard-edged, no-nonsense attitude has served him well in the cutthroat business world, but less so in his personal life. When he finds out his ex-boyfriend cheated on him with a coworker, Zeke can’t let go—not until he finds a way to get even. However, his meddlesome father has other ideas. The new hire at the family-owned bagel store is somewhat colorful, but his dad is sure he’s the perfect man for Zeke. Benny Ruggieri is a fiercely proud New Yorker who dreams of making it big as a costume designer in the theater. In the meantime, he’s working two part-time jobs in the food biz. When his new boss sets him up with his successful son, Benny has zero expectations. If nothing else, he figures he can entertain himself by making the uptight businessman squirm. Instead, the two become unlikely friends with an inexplicable attraction they can’t ignore. Benny might be the one to help Zeke set aside his quest for revenge, if he’s willing to let go and forgive what he can’t forget… and give in to an unexpected kind of romance. When I read the blurb for this book, I had no idea who Zeke was. But I knew who Benny was and looked forward to seeing him find his happily ever after. However, as soon as Zeke received Benny’s call regarding his father’s fall at work, I knew exactly who Zeke was – Ezekiel. Gotta love George’s preference of using people’s full names because I didn’t put it together. Once two and two equaled four, I was even more excited because I wanted to know more about Zeke and couldn’t wait to see what dance Hayes had planned for the couple… and I was not disappointed. Much like Rand and Will were in book one, Zeke and Benny are an unlikely match. Perhaps even more so considering Zeke is Wall Street and Armani, while Benny is fashion and color – quite literally as he regularly sports a bit of bold color in his hair. Zeke is Jewish and Benny is Catholic. About the only thing they have in common is they come from loud, meddlesome families and they each have a connection to Bowery Bagels (Zeke’s dad owns it, Benny works there). Having witnessed first-hand how meddlesome Italian families can be and having heard stories of the same regarding Jewish parents, I can easily see why Zeke and Benny decided to fake date as it was an excellent way to keep the matchmakers at bay. Of course, as the reader, I wasn’t surprised when things began to feel more real. What did surprise me was how well Zeke lied to himself or refused to admit his feelings to himself when it came to Benny. I wasn’t shocked when Zeke basically negotiated a monogamous “fake” relationship with Benny because nothing about Zeke would suggest he’d be willing to share, despite his initial desire to reconcile with his cheating ex. Nope, that was more about “not losing” than anything else, which took me a while to realize because Zeke is just narcissistic enough that I was having a hard time reconciling a narcist wanting someone in his life that didn’t make him the center of their life. Speaking of, I loved that Benny refused to accept anything less than being the center of Zeke’s life once he hit his breaking point. I hate how that scene played out because it was one of those rare times when it really wasn’t what it looked like, but it was what had to happen to make Zeke reevaluate what he wanted out of life and speed up his efforts at making it happen. Zeke’s family baggage was utterly fascinating. Only knowing the current version of George Gulden we met in A Kind of Truth, it was hard to reconcile the personable shop owner with the homophobic father Zeke grew up with. Granted, George’s response to his son’s coming out was, unfortunately, in line with that of a man his age, religion, and family expectations, so while believable, it was hard to envision George acting the way he did toward Zeke. That his mother was able to make his father see why his actions towards Zeke were wrong, it made her deterioration even harder to read about. Suffice it to say, I was relieved and happy that George and Zeke were finally able to clear the air between them. My only complaint is that I wanted more of Benny. Because A Kind of Romance is Zeke’s tale of finding happiness, the story is told from his point of view and this means we only get Benny when he’s interacting with Zeke and Zeke is paying attention – his tendency to tune people out was annoyingly realistic. I would have loved to have had part of the story told from Benny’s point of view so that we could have gotten to know him better because I adore Benny; but the story wasn’t meant to be told that way, so I got to fall in love with the Benny that Zeke saw. And I must admit, that was a pretty freaking awesome Benny, and that made the journey very enjoyable – even when I was frustrated with Zeke and wanted to give him a good smack on the back of the head. Once again, Seth Clayton did a great job of bringing Hayes’s characters to life and making the audiobook edition of A Kind of Romance very entertaining. I love how Clayton is able to convey the characters’ feelings so fully, leaving me no choice but to connect with them. I thoroughly enjoyed A Kind of Romance and sincerely hope that Clayton and Hayes continue to team up for the next audiobook in the series. 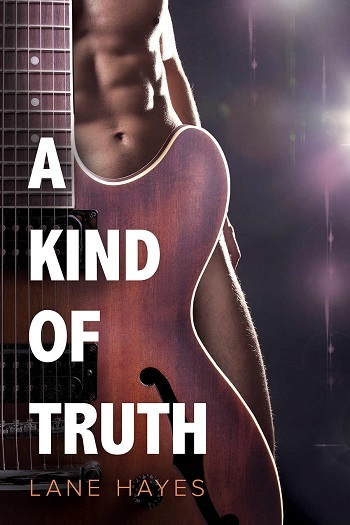 For reviews & more info, check out our A Kind of Truth post. Lane is a designer by trade who is extremely grateful to be spending more of her time these days doing what she truly loves...writing. She loves chocolate, wine, travel, but most of all, she loves books. Lane's debut novel, Better Than Good, was a 2013 Rainbow Award finalist. She lives in So. California near the beach with her amazing husband, three teenagers & a gorgeous old Lab named Rex. Reviewers on the Wicked Reads Review Team were provided a free copy of A Kind of Romance (A Kind of Stories #2) by Lane Hayes, Narrated by Seth Clayton to listen to and review.